PVC windows with Rehau SYNEGO profiles are energy-efficient and attractive thanks to their modern design. We use Rehau SYNEGO window profiles to produce our windows, and so we already take advantage of energy-efficient solutions of future demands. PVC windows SYNEGO are made of high-tech material called RAU-FIPRO; they are also distinguished by an innovative design of the profile. 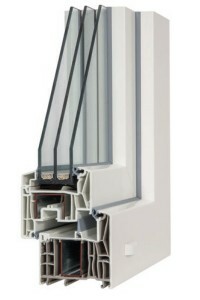 PVC windows with Rehau SYNEGO profiles are future-oriented; in addition to their innovative design, they are recognized for their unsurpassed stability, thermal insulating qualities, excellent burglar-proof and soundproof properties, which make sure you feel carefree and peaceful in your home. Along with quality production, PVC windows SYNEGO also guarantee comfort and long-term value of your house. 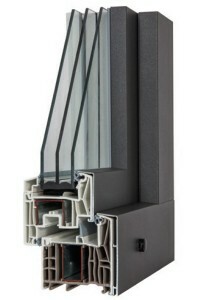 When it comes to PVC windows, ease of use is of crucial importance. New designs of seals and quality ROTO NT window fittings ensure that windows open and close easily. When choosing windows for your home, it is important to decide for a suitable window frame as well as for the right type of glazing. Window shading systems not only ensure privacy in the evening but also help to prevent overheating inside your house in the summer. Attractive window handles made of various materials. There are also lockable versions available. You can adjust interior window sills in line with your preferences, choosing between various colors and types of material. Standard design of Roto NT metal fittings, additional options and ventilation. Insect screens protect you from insects and make sure you sleep peacefully through the night. They also improve the appearance of your windows. Choosing the right color of windows contributes a lot to the appearance of your house. The installation of PVC windows is a fast and easy process if it is carried out by a qualified and experienced installer.